This post is sponsored by The Home Decorators Collection, all opinions are honest and my own. Are you all Christmas “toured” out? I have to admit…I am. I promise this is my last tour this year, and it’s a very special one at that because I’ve teamed up with some very special blog friends. I saved the best for last, shh. I’ve been a fan of the Home Decorators Collection for years now. I receive their catalogue and it never makes it into the fireplace until I get a good long look inside to see what’s new. If you’ve never experienced their beautiful decorators showroom, today could be the day. You are also in for a treat because you could win 1 of 2 gift cards for The Home Decorators Collection and they are both worth $250.00. Cha ching. Okay, now…lets get this tour going so you can enter that generous giveaway at the end. 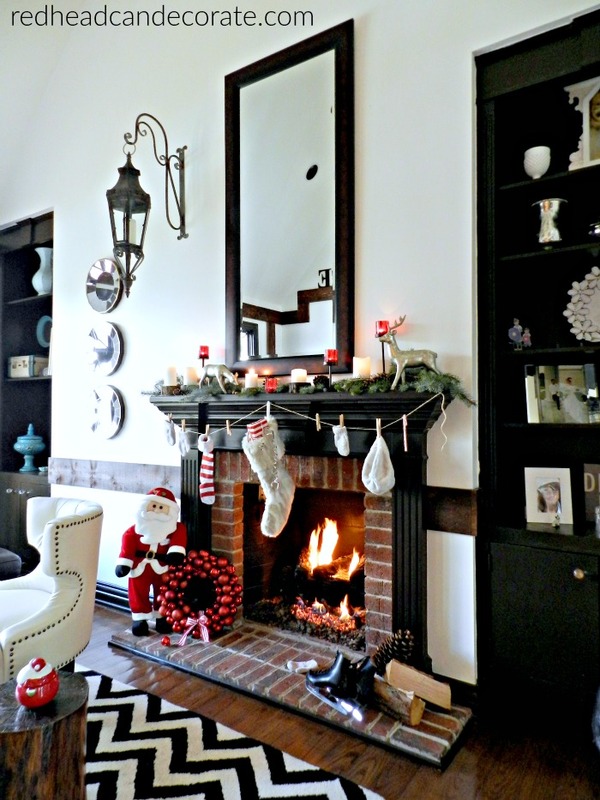 First up, is the mantel I never decorated before. 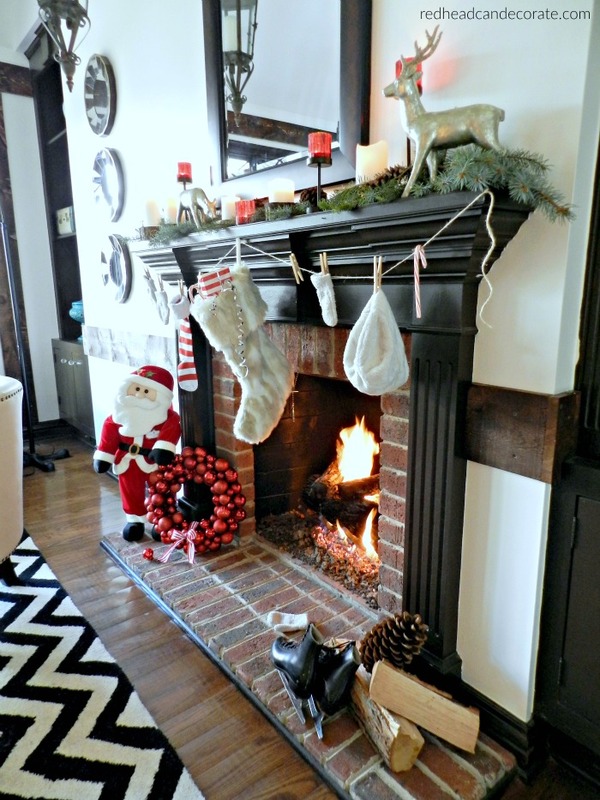 We have 2 mantels in our home, one in the kitchen that I decorated all vintage-like for Christmas a couple years ago and you can see that HERE. This one, though… is more of a rascal. You see, we had a very large mirror up there and it prevented me from decorating because the mirror rested on the ledge. I have no idea what I was thinking. We finally risked our lives and took it down to the floor. So, now we have this more size appropriate mirror that really fits in nicely. 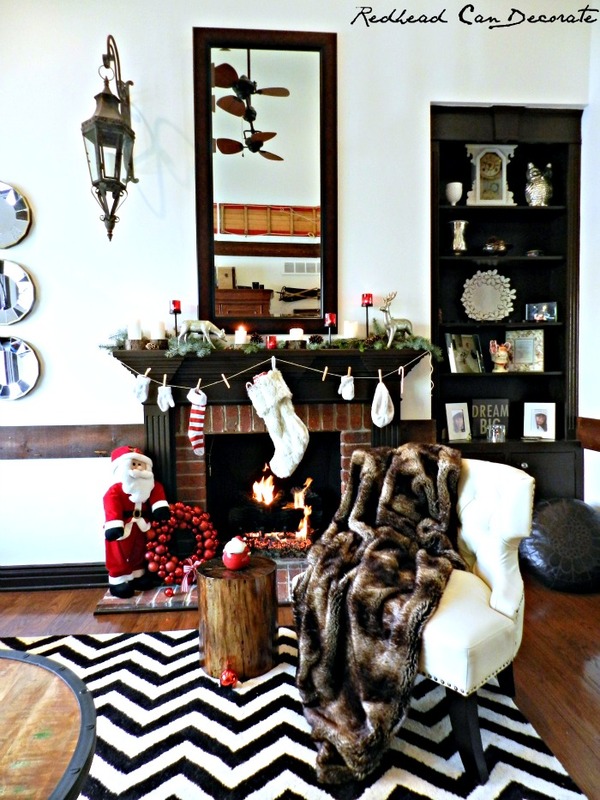 When I began to decorate, I knew I wanted something simple, cozy, and fun. What do you think? I used twine to hang the dollar store mittens that I plan on donating soon because they are really really tiny. The clothes pins added a bit of simple vintage charm and fun. Then came the really exciting part…decorating the ledge. That’s when I yelled for Rick to go steal some pine branches from our neighbors. Shh. While he was out there, I had him cut a few logs into slices for under my white pillar candles. The red candles I had from years ago. Then the final touch…I adopted these gorgeous Martha Stewart Living Reindeer Family-Set of 2 from the Home Decorators Collection. They are on sale now, too. In fact, most of their holiday decor is. Here’s a tip if you order them…add real acorns from your yard, or place nuts so the deer looks like it is nibbling right on your mantel. How sweet is that. Better there than at my Hostas. Here’s Selena, the doe (yes, I named them). 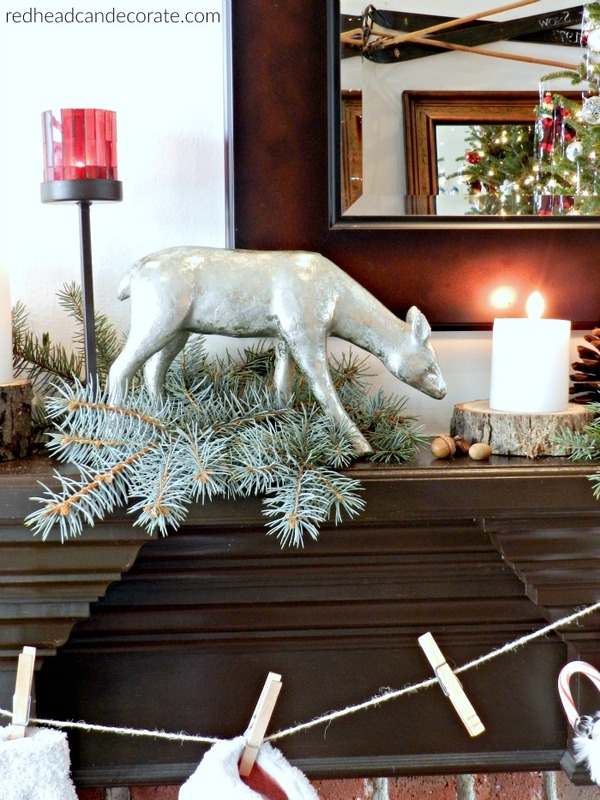 Put it all together, and the deer look like they were made for our mantel. Even Santa looks satisfied. If we turn around, we can get a great view of our “Candy Cane Themed” Christmas tree…you may even be able to spot our cat, Sylvia standing under it. It’s her new house. Wait a minute. Back up a second. Did you happen to notice that beautiful, round, industrial style wood table? This Industrial Adjustable-Height Coffee Table, is what I also decided to order from The Home Decorators Collection. Here, take another look…isn’t it gorgeous? This table is very heavy and high quality because it’s made from real Mango wood, and has a real cast iron base. I needed my husband to help me move it, but with two people it was easy. There’s a classic style hand crank under the tabletop where you can adjust the height. This is at it’s lowest setting. It replaced a trunk that really blocked out some of the light in the room. This new table allows light flow through the bottom. I didn’t think of that until I had it in place. The other thing…if I want to set up 4 chairs and raise it so we can eat dinner there, I can. Helloo romantic movie night with my husband…I need you badly. If you like my DIY Stump Table, you can find out how I created it HERE. 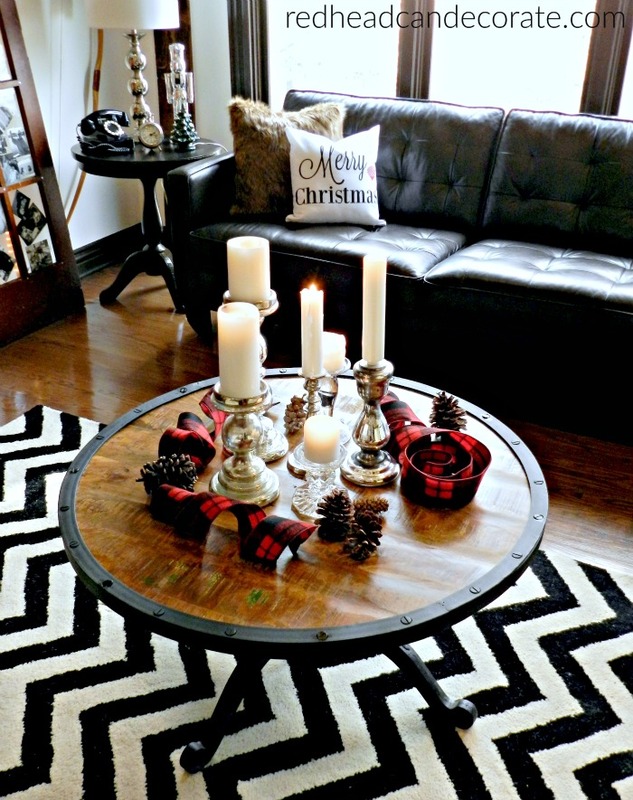 You can also find a chevron rug similar to mine HERE. So, to sum things up, yes I am pretty darn happy with my new dear family Selena & Buck and the versatile industrial table. Thank you Home Decorators Collection-you rock! Don’t forget to enter the giveaway below, and check out the entire Holiday Home Tour lineup-these girls are so talented and sweet. 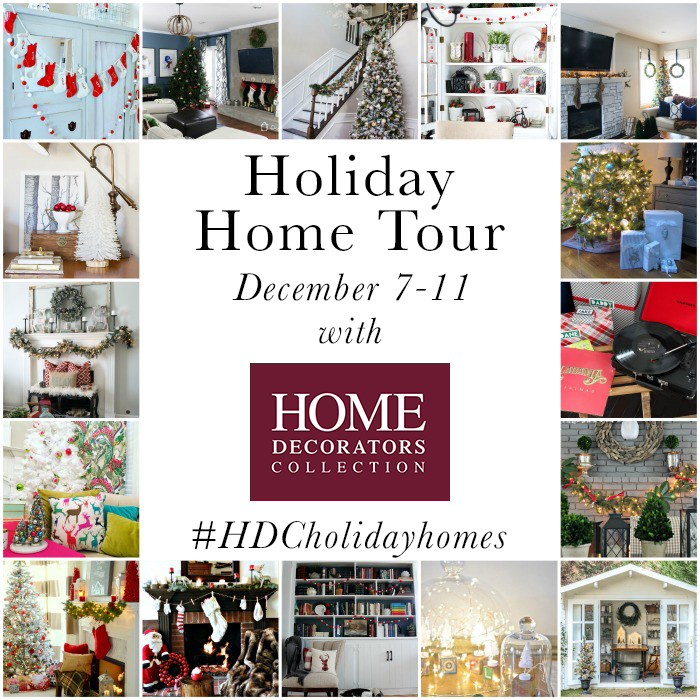 You can also follow along on social media with hashtag #HDCholidayhomes. I love your home. Could I just clone it, please? Looks fabulous, Julie! And I love the new rug as well as that round table. Great job! That table is pretty amazing Julie! Your home is so cozy!!!! I just noticed the barnwood/rustic chair rail! Love. Everything looks so beautiful Julie! Great giveaway btw. Your home is decorated beautifully! 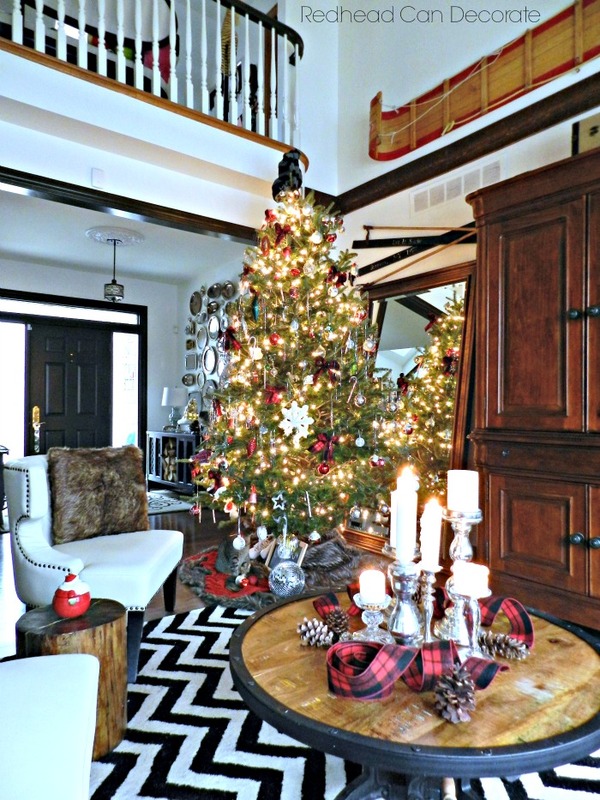 Your home is decorated beautifully for Christmas. Happy Holidays. I love all your posts and would love to win so I can get the deer!! Love all your posts! Would love to win so I can get the pair of deer! Everything is gorgeous, Julie! I love that you named the deer. And that table is amazing! Love it all. I like the Home Wood Wall Art! Again, I adore your home and that ceiling is just amazing…love Home Decorators Collection…I have the Martha Stewart craft furniture collection and love it! We have been searching for a sofa. I love the Reumann curved sofa – we would probably put the gift card towards that. 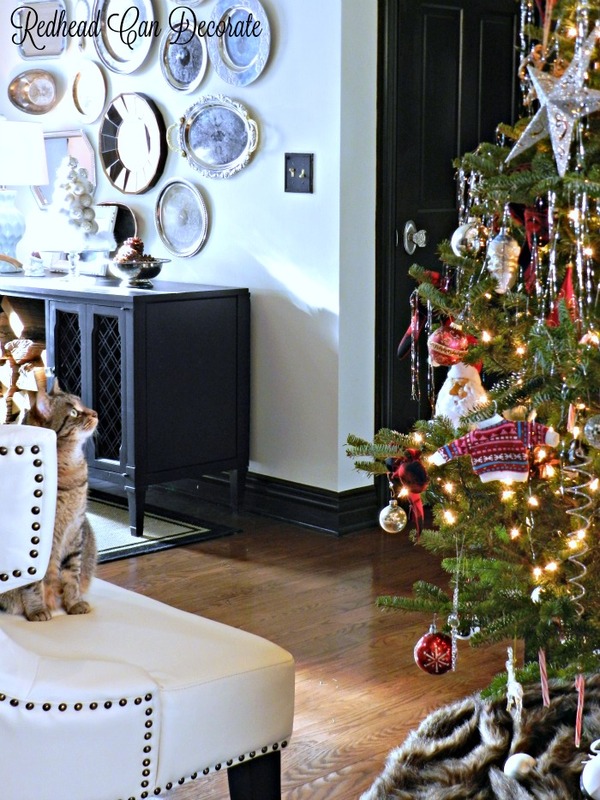 I would get the MARTHA STEWART LIVING™ GLASS ORNAMENTS – SET OF 20, they’re beautiful!! 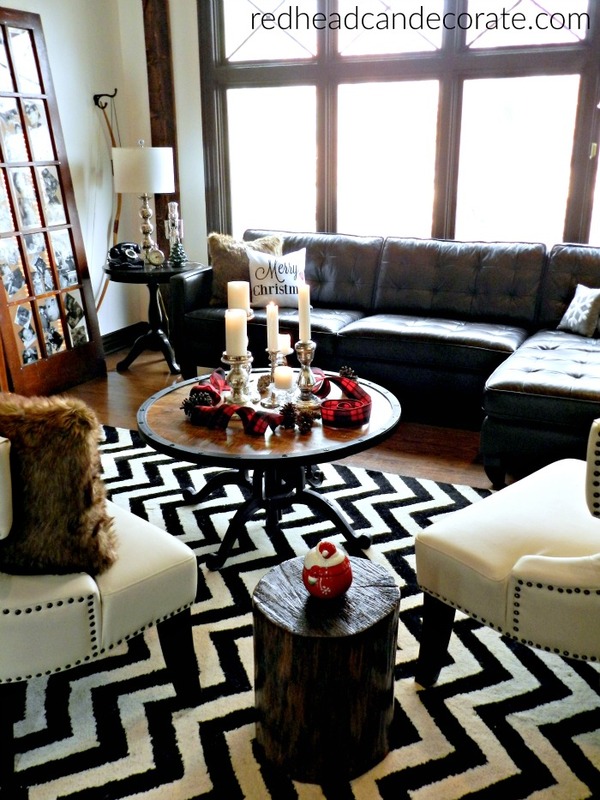 I really like the ZAMORA AREA RUG for my family room! I love Home Decorators, I purchased all our rugs from there many years ago. I would put the $250 towards the Maldives Coffee Table. I would love to purchase the STANTON 7 + 1 DRAWER DOUBLE-WIDE STORAGE CART WITH DOOR. LOVE the Sole Mirror..I need something over my bed since we dont have a headboard! Thanks for the peek into your cozy home. Appreciate the sharing of ideas. 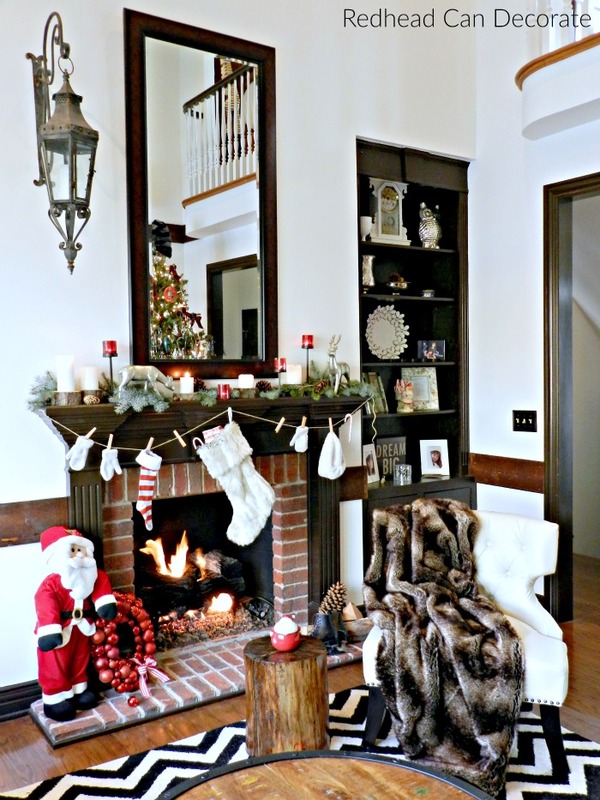 Loving all of your Christmas decor! You are so talented and such an inspiration! 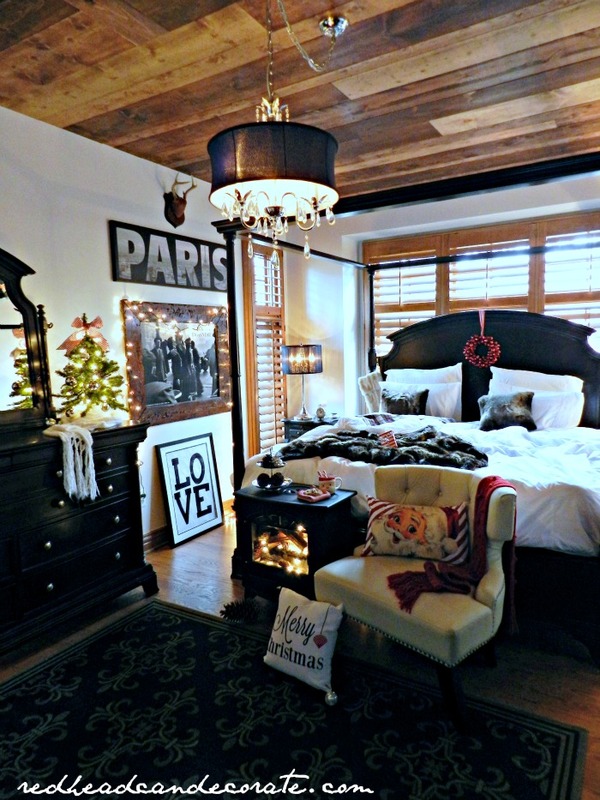 Love you cozy Christmas décor! I would have to get a fabulous throw similar to the one picture in your feature above! I am thinking I’d have to buy that table. I have been looking for a table that does double duty and have only found one before now. Thanks for sharing your beautiful home! It must be a redhead thing. Girl, we got the eye! 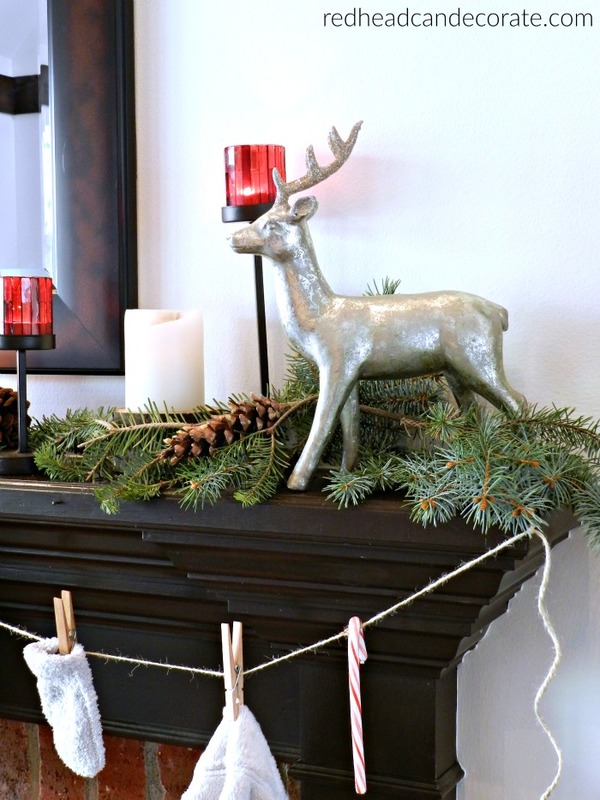 I took some inspiration from your Christmas decor and look forward to seeing what you come up with next. God bless yout & yours, Red!